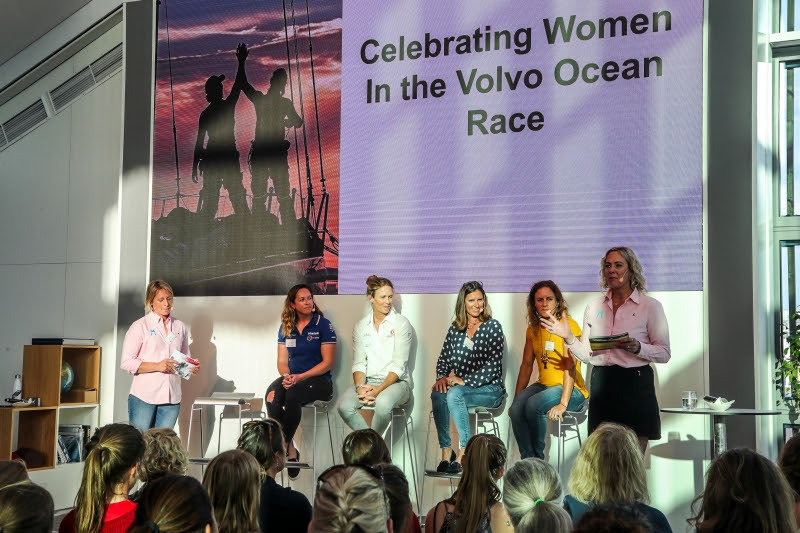 The Volvo Ocean Race celebrated 45 years of women in the race with a landmark event in Auckland on International Women’s Day. 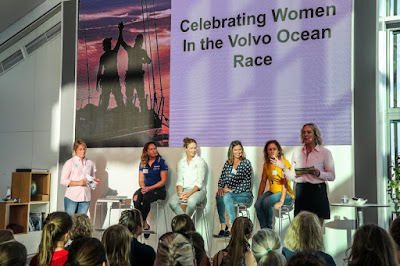 The event, organised by the Magenta Project, and supported by Volvo Ocean Race supplier GAC Pindar, saw iconic females from across the decades take to the stage to reflect on their experiences in Races of the past – and join the conversation on the future, in front of a packed crowd of over 200 attendees. Three-time Volvo Ocean Race veteran Abby Ehler co-hosted the event, and was joined on stage by a panel consisting of Australian Leah Fanstone (US Challenge/Heineken 1993-94; EF Education 1997-98), Lisa McDonald (EF Education 1997-98; Skipper of Amer Sports Too, 2001-02), Dongfeng’s Carolijn Brouwer and Vestas 11th Hour Racing’s Hannah Diamond.